The climate crisis and structural inequities in housing and transportation share the same origins. These origins include decades of white flight and sprawl, supported by exclusionary housing policies and a transportation policy that has favored highway and road funding over public transit. Similarly, the response to the climate crisis and these structural inequities are linked. As Bay Area planning agencies attempt to focus the region’s growth in cities and Transit-Oriented Developments (TOD), low-income communities of color in the Bay Area need a strong, equitable development policy agenda that invests in just and affordable transportation as well as housing near transit systems. This will reduce greenhouse gas emissions as well as benefit those communities most at risk from the impacts of climate change. Integrate a race and class analysis into climate policy debates to support the development and implementation of state, regional and local policies that effectively address climate change while promoting environmental health and justice. Advance local and regional campaigns that address the root causes of climate change. Increase the participation and leadership of low-income communities of color in transportation, housing, zoning and land-use decision-making. Work in multi-issue, multi-sector partnerships with grassroots groups, labor, and faith-based organizations to advance a regional agenda for climate justice through equitable development. Conduct research that advances the goals of our climate justice work and supports the Bay Area climate justice movement. 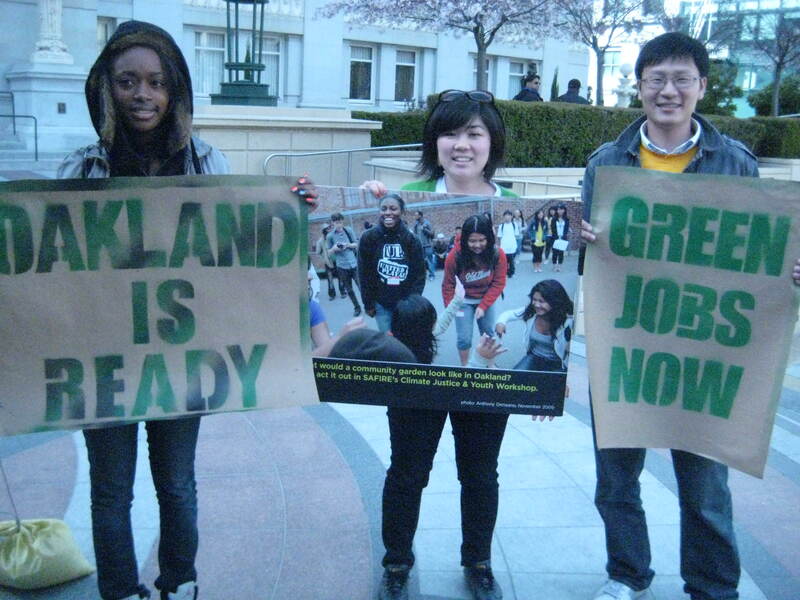 Support campaigns that undo regional land-use disparities and stabilize communities. Advocate for land use policies that increase access to open public spaces and encourage the development of healthy neighborhoods. Build and support coalitions locally while simultaneously developing a regional equitable development agenda and movement. Conduct research that advances our equitable land-use goals.